Professor Alexander Saxton, an anthropologist, is returning home to Europe via the Trans-Siberian railway with a large crate carrying the remains of a primitive humanoid creature he discovered in the Himilayas. He is sure that it represents a missing link in the evolutionary chain. Dr Wells, Saxton's colleague, is also aboard the train. Mysterious deaths then begin to occur. A thief is discovered dead, bleeding from the eyes, after having looked into the crate. 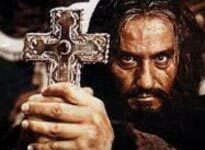 A monk, Pujardov, claims that the crate is an omen of evil. Saxton dismisses this as nonsense and pays a baggage man to look into the crate and tell him what he sees. The baggage man does this and sees a creature with red eyes. Later, he is found dead in the crate with the humanoid creature nowhere to be seen! 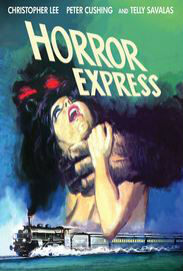 Mondo-esoterica: Horror Express is one of the most enjoyable horror films made during the 1960s/70s - boasting that most iconic of genre partnerships, Peter Cushing and Christopher Lee (and making full use of them - not just in cameo roles), and gaining from a well written script and solid production throughout. Britishhorrorfilms: Prepare for a badly overacting Telly Savalas and an absolutely barking mad last half hour, which involves lots more death and some serious zombie action. 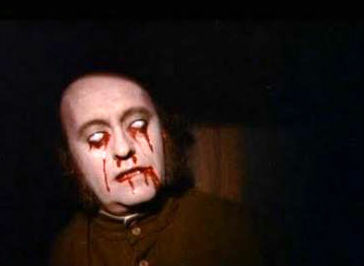 The film was received positively in markets where the audience was familiar with low-budget horror films, such as Great Britain, the United States and Australia.